Ability Text: Each player chooses a creature or planeswalker they control, then sacrifices the rest. Players can't cast creature or planeswalker spells until the end of your next turn. 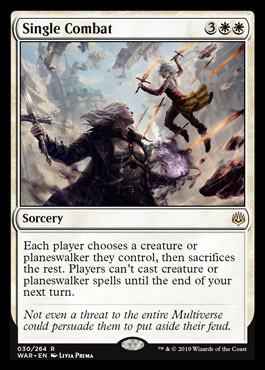 Flavor Text: Not even a threat to the entire Multiverse could persuade them to put aside their feud.